Valentine’s Day ended too soon and we all know you’re still not over all the feels that this love month brings. Whether you belong in a loving and committed relationship, are single and very ready to mingle, or are in a complicated relationship that opts to go without labels, most of us want the world to know the status of our hearts. 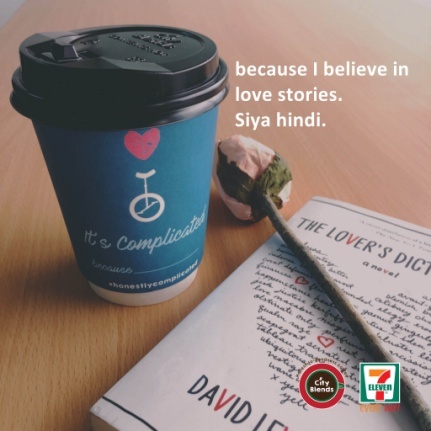 For those who want to share the love with the world, 7-Eleven has a promo this love month that just might be perfect for all types of lovers out there. Our favorite convenience store brings back their Honest Cups with a sweeter ending. The cups are the perfect accompaniment to the sweet and complex flavors of City Blends Coffee, and to top it all off, the cups are simply Instagram-worthy. If you’re in a relationship, you’ll surely want to grab one of City Blends’ Taken cup. Couples or people that are taken are always entertaining to be with because they always have stories to tell about relationship highs and lows. They are also the ones who go through each day like its Valentine’s Day! 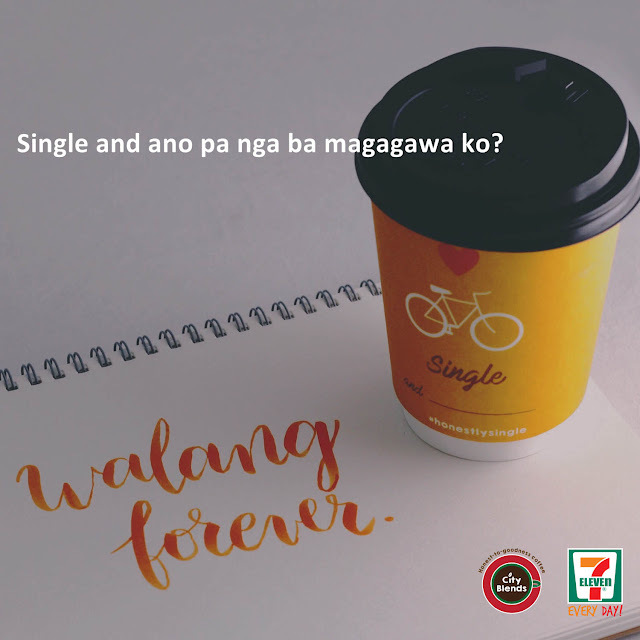 So share the love with your partner by saving P4 when you grab 2 sweet Taken cups of coffee from 7-Eleven! Not all of us are in a relationship and not all of us are sad to be single. Some single people are proud that they are free to go anywhere, meet new people and even travel all around the world. So why not get the City Blends Single cup? Be bold—it’s fun to be single. Love is much like coffee – sometimes bitter, aromatic, and very, very complex, just like a complicated relationship. People experience this when they were in the wrong person or could’ve been with Mr./Ms. Right but it wasn’t the perfect time yet. If you know this all too well, then the City Blends ‘It’s Complicated’ Cup is for you! Grab one now and be comforted by a piping hot cuppa. If you long for more sweet flavors that pair up well with your cup of coffee and are perfect for sharing with loved ones, 7-Eleven has got you covered. Our great neighbor now houses the sweet strawberry flavors perfect for snacks and desserts with their Strawberry Festival offerings! 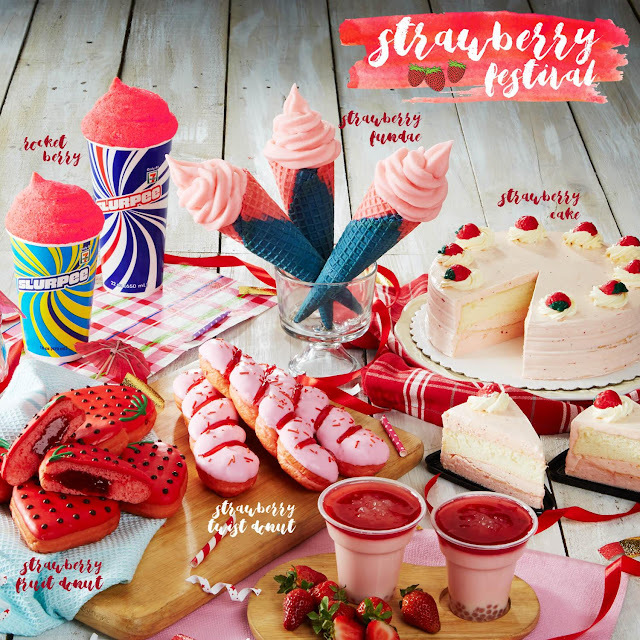 The 7-Eleven classics now come with Strawberry variants, from the Rocket Berry Slurpee, Strawberry Fundae, Strawberry Taho, Strawberry Cake Wedges to Strawberry Donuts. Join the bandwagon now and have a sweeter life this love month whether you are single, taken or in a complicated relationship. Visit the nearest 7-Eleven store and have an honest to goodness coffee experience with a sweet treat. Be sure to check out the 7-Eleven website (www.7-eleven.com.ph) and follow the 7-Eleven Facebook Page (www.facebook.com/711philippines) to get the latest updates and promos. 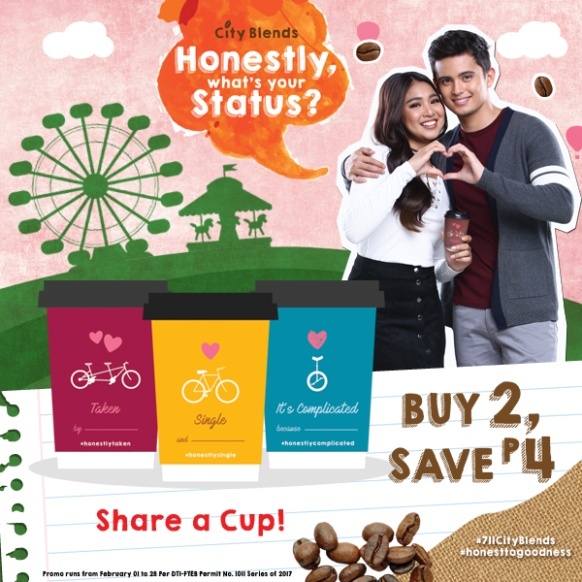 Don’t forget to also capture your sweet feels while enjoying your coffee and strawberry treat, then share with us using #Honestly #HonestToGoodness #711CityBlends #InLoveEveryday on Facebook, Twitter and Instagram.